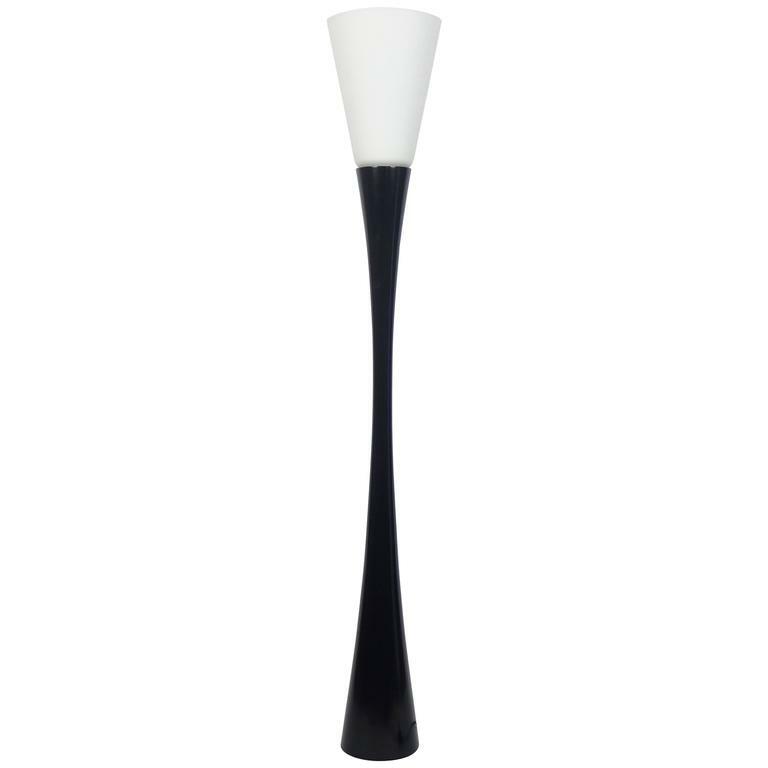 A curved black lacquered wood base with a white opaline glass shade. Designed by Joseph-André Motte, edited by Disderot editions in 1960. 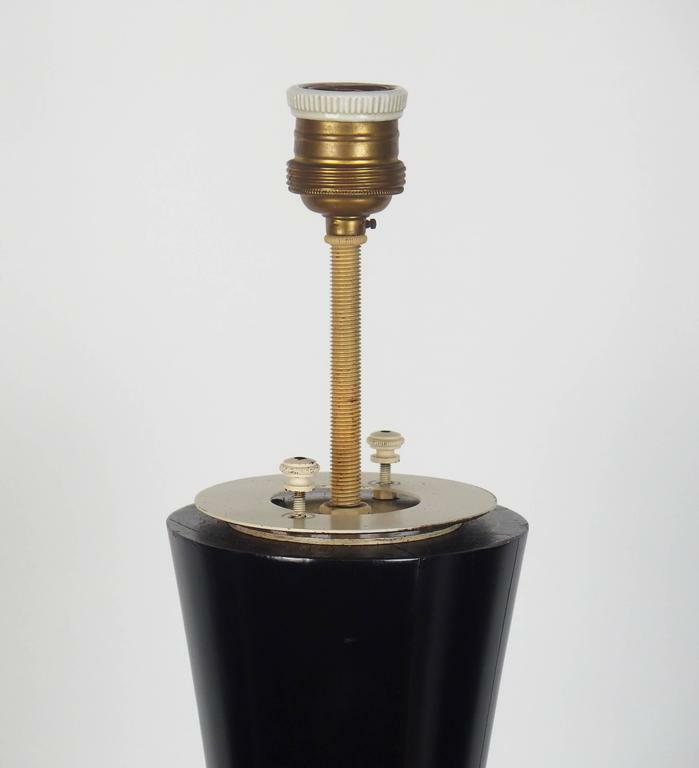 A 1950s lantern style rope floor lamp by Audoux Minet. 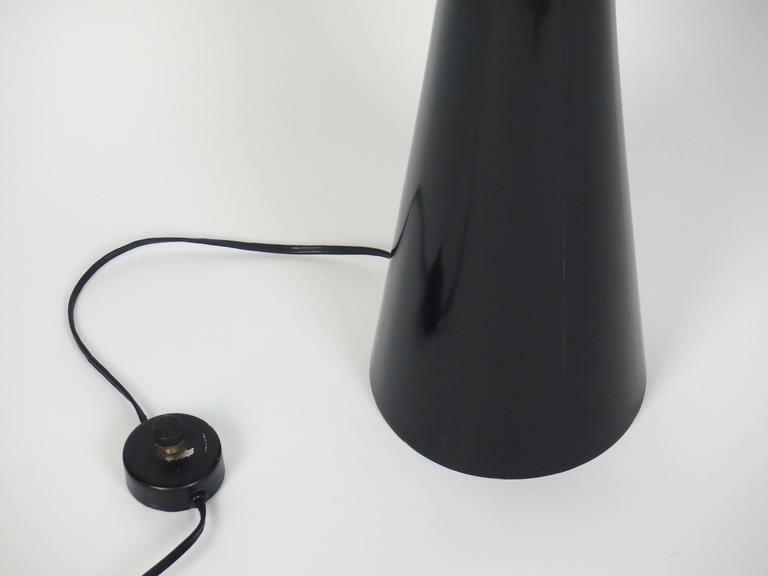 Original shade, one light. 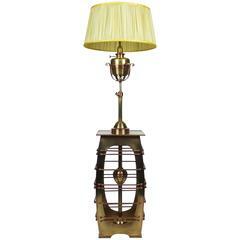 A three arms, tobacco color stained, rope floor lamp by Audoux Minet. New shades. American sockets. 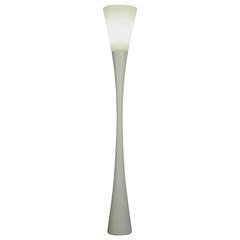 Measures: Higher arm with shade 70.80 in Lower arm with shade 65 in. 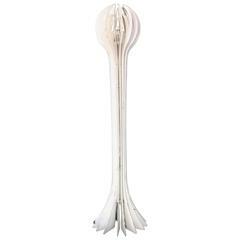 A café table in mahogany color stained beechwood, silvered enameled and hammered brass and "ostrich leather" linoleum on the base and the top. 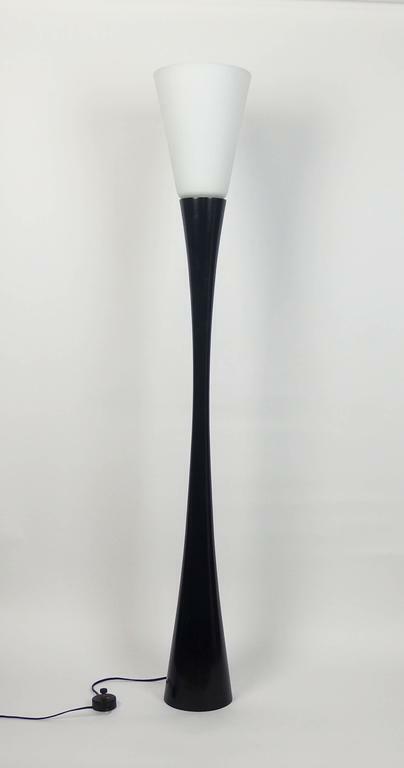 Floor lamp J1 by Joseph André Motte, Disderot edition, 1960. 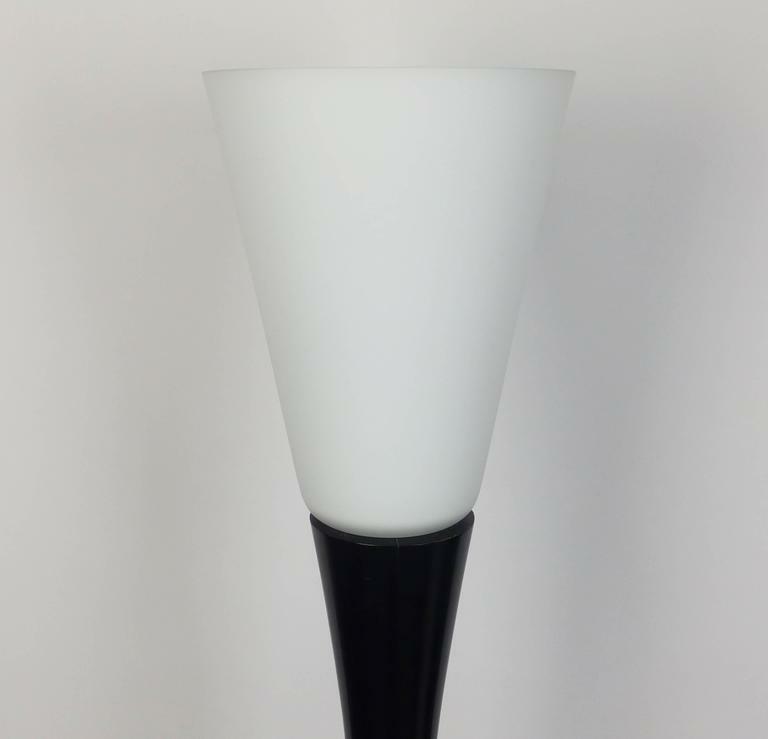 White lacquered wood and white opaline glass lampshade. 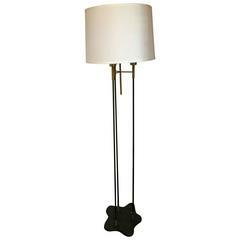 Floor lamp "Diabolo" in black lacquered wood and opaline Joseph-André Motte, edited by Pierre Disderot in 1954. Drawing of great elegance, superb light. Very beautiful state. 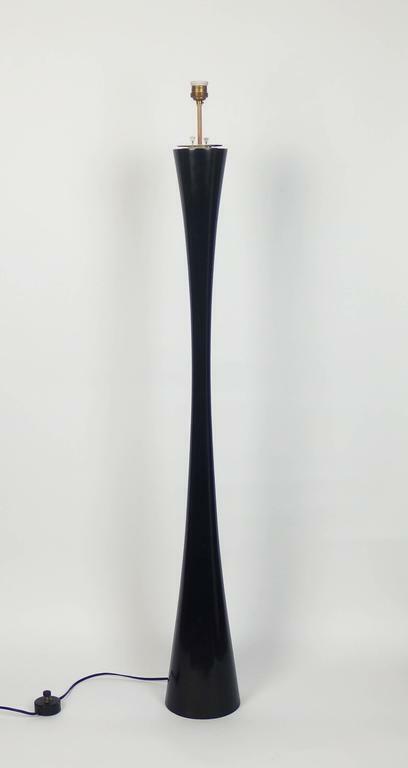 André Jean Doucin (1926-2009), Floor lamp, Blades of steel, circa 1970, France. Height: 185 cm, diameter: 48 cm. 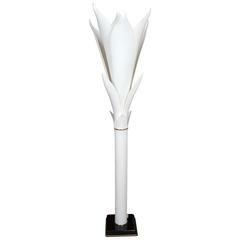 Floor lamp by Rougier with moulded white acrylic petals. Signed Rougier. 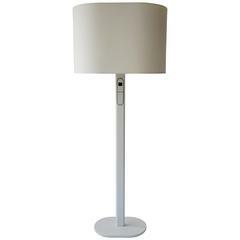 Classic Mod floor lamp by Laurel, satin metal finish shows some cosmetic wear as shown, normal and consistent with age. Original, working condition, shade not included.